1. 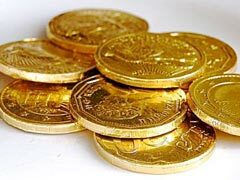 Buying gold coins driven by gold frenzy is one of the major mistakes to avoid. Usually when everybody is buying gold coins, the prices for gold bullion coins are rather high virtually eliminating any profit potential or even hedge against inflation purpose down the road. When the price of gold is high, you should not be buying gold coins but rather selling them if you have any. 2. Putting too much money into buying gold coins. It’s important to realize that gold bullion is not a dividend or cash flow producing asset which might go down in price considerably, therefore putting all of your money into buying gold dollar coins, gold Krugerrands or British gold coins is simply not financially practical. Reserve no more than 5% of your entire investment funds into buying gold coins investment. 3. Buying from the wrong sources is one of the critical mistakes many novice investors make. If you are not familiar how common physical bullion coins look, you might end up buying a fake or paying too much money for authentic American Gold Eagles or Canadian Maple Leaf coins. Check out our site’s extensive article library where we list trustworthy gold coin dealers to buy from. In addition, honest and knowledgeable coin dealers can give their market insight which coins to add to your portfolio based on your financial goals. 4. Do not take advice on buying gold coins from your peers, relatives or friends. All these people might have totally different investment goals in mind. Uncle Joe might be there for a short run trying to capitalize on small gold price fluctuations, while your Cousin Sam might favor especially expensive gold bullion coins that come with high premiums. Study the market yourself and stick to your investment plan. 5. Not knowing the current spot price of gold when buying gold coins. You will be surprised to know how many people are buying gold coins without first checking how much an ounce of gold is worth on a given day. Never buy blindly, sign up for free gold price charts and keep track of gold by finding a proper opportunity window when gold is coming down. 6. Buying rare gold coins without proper numismatic knowledge is simply not smart. Rare coins require a practiced eye, ability to assess their grade, mintage characteristics, knowledge of what similar coins are going for and many other highly specific facts about rare coins. 7. Buying rare coins for the investment purposes. Some dishonest coin dealers are trying to sell you numismatic coins as an investment. Do not go this route! Numismatic coins are not for investment but for collecting. The prices for numismatic coins are driven not only by the spot price of gold but by a variety of other factors like rarity, grade and mintages that might inflate their prices. If you are trying to invest in physical gold, buy exclusively well known bullion coins with low premium rates. 8. Not considering buying silver coins is a mistake to avoid. When the price of gold is so high, a lot of people are still considering buying gold coins exclusively. But what about silver coins? Silver coins are great to have for the worst case scenario survival purposes, especially when the price of silver is so much lower than that of gold’s. In difficult times it is much more practical to pay for basic necessities with smaller silver coins, rather than with 1 oz gold coins. 9. Not taking account expenses related to physical bullion storage. Owning physical gold bullion definitely comes at a price of paying dealer premiums and shelling out money for storing your gold at a bank. Some investors choose to not take physical possession of gold bullion and store gold at offsite vault locations. Some experts warn against this because such scenario might backfire on you in case multiple banks collapse. You are better off keeping your gold within your reach. 10. Confusing investing in bullion coins with other gold investment mechanisms. Many folks erroneously think that they would rather not deal with the hassle of storing physical gold and opt for alternative gold investments like gold stocks, gold ETFs and gold futures. All of these mechanisms do not necessarily follow the spot price of gold the way physical bullion does. Investing in gold stocks, futures and ETF’s requires strong analytical abilities and thorough knowledge of the market not all novice investors possess.